In the past few years, celebrities and dietitians have brought more attention to health cleanses, which they swear clear the body of toxins and help you lose weight. But how effective are these cleanses in supporting and maintaining your holistic health? Can they work on a consistent basis, or are they just a fad diet that will fade? Let’s take a look at how cleanses work and see how they might affect different parts of your body in positive or negative ways. Many of us have heard of the Master Cleanse and its promise to add health and vitality to your life. We’ve heard terms thrown around like a juice cleanse, colon cleanser, detox diets and flushing out toxins. For the Master Cleanse, participants spend days only drinking a concoction containing spring water, organic maple syrup, freshly squeezed organic lemon juice, and a pinch of cayenne pepper. Most cleanses aren’t this extreme, but they do require a 24-hour liquid diet. Our bodies contain toxins, which are difficult to get rid of unless we take matters into our own blenders. Toxins can decrease immunity, lead to chronic disease, affect energy levels, cause breakouts, decrease energy, and slow metabolism. Cleanses are designed to flush out these toxins, so you can live more healthily. We all know that it’s important for our bodies to get proper nutrients, so only drinking a regimented list of items may feel somewhat unhealthy -- especially when doing it for several consecutive days. Your body’s organs -- especially the liver -- are already part of its natural detoxification, so is it really necessary to do additional cleanses for something your body is already doing? Wouldn’t you rather just eat? Studies have shown that build-up can happen in your organs, especially in the colon, and it’s important to give them a boost sometime. Many doctors recommend only doing a cleanse if you’re already in good health and only doing a one-day cleanse. As with any health decision, you should consult your doctor on how a cleanse might affect your health. 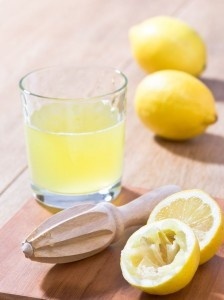 Many people have reported feeling much more energy and more positive while doing a cleanse. These are great effects of a cleanse, and even if they have no long-term, consistent proof of being effective, there’s nothing wrong with the euphoric feeling you get with more energy and a positive outlook. About the Author: Sage is considering doing a cleanse. She did research prior so she could find something that would work well for her.